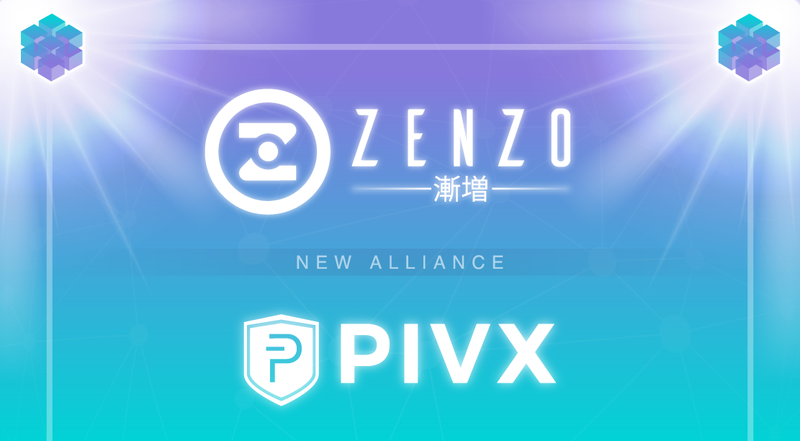 The best way to start off the month of April — ZENZO & PIVX Alliance! Over the past 2 months, ZENZO has been in direct contact with the PIVX project and community. Thanks to an introduction from JSKitty and Bryan Doreian (Snappy), the bridge between both projects has now successfully been built and established. The initial spark and reason behind this alliance is to develop a cohesive community, for ZENZO to establish closer relations with the developers/creators of the primary ZENZO (ZNZ) Blockchain code base, for PIVX to establish a closer relationship with PIVX forks (working together towards similar goals), and much more that will be outlined in this article. PIVX is much more than a simple one-liner statement or elevator pitch. PIVX stands for Private Instant Verified Transaction and it is well respected and recognized as one of the top privacy projects in the blockchain and cryptocurrency space. Beyond just the technical and development points of view and features of the PIVX Blockchain, PIVX is one of the most unique community-driven projects out there. The PIVX Community is well-known for the open-minded, creative, collaborative, and passionate energy they have. Want to see for yourself? Join the PIVX Discord. On top of being a leading privacy coin, implementing and developing cutting-edge privacy technology, PIVX has done a plethora of other things including: charitable events, sponsoring professional athletes and sports, sponsoring a youth robotics team, providing constant and creative use cases for cryptocurrency all over the world, and much more. To learn more about PIVX, we recommend joining the community and you can also visit the official website. There are a long list of reasons why we are honored to partner and form an official alliance with PIVX. For starters, it is only right to give credit where credit is due. ZENZO utilizes the PIVX code base for the ZENZO (ZNZ) Blockchain and Wallet. As a whole, the ZENZO Core Team are advocates for privacy and see it as a basic human right. Not only are we impressed with the technology and unique features of the PIVX Blockchain and Coin, but we are also inspired by and very connected to the PIVX Community. PIVX operates very similar to a DAO (Decentralized Autonomous Organization). This means that the PIVX Community has a large influence and say on the growth and direction of the project. They utilize a budget and governance proposal system, which allows for the PIVX masternode holders to upvote or downvote community-created proposals. On top of having this system, they are also developing a more open voting system called Tango that allows for any PIVX stakers to cast their votes as well. ZENZO is also very similar in many ways and we always do our best to open up discussions and direction for the project to the community. We always listen to feedback and suggestions from our community members, as we see ourselves as a community-driven project as well. ZENZO is also developing an incubator for game development, called the ZENZO Hatchery, where ZENZO community members will be able to vote and help decide the direction for game development, along with game tournaments. 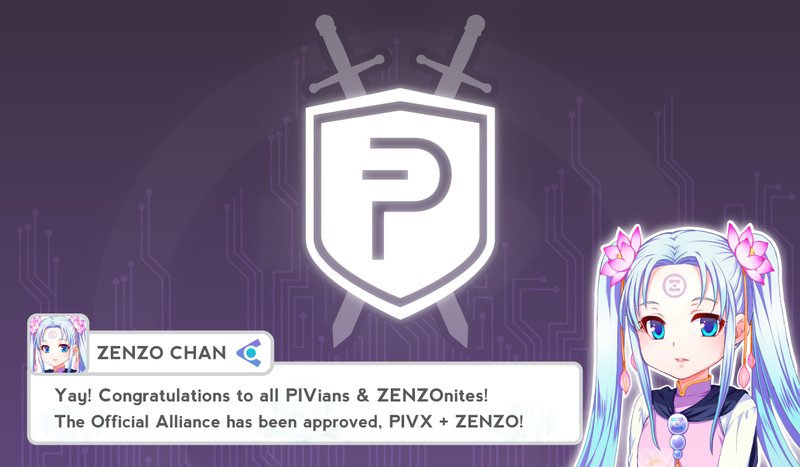 Ultimately, both communities, but specifically PIVX masternode holders approved for the official alliance between ZENZO and PIVX. This alliance was created by the aligning of similar thoughts and perspectives. We organized our thoughts and plans for the overall alliance and also broke it down into phases, which you can view publicly on the PIVX Forums. Firstly, this was created as an open and non-binding alliance between both parties and projects, as we always want to be flexible and open-minded. ZENZO and PIVX are starting a new type of alliance and deeper relationship between projects, specifically with those that utilize the same code base. We are in the same space, share similar values, and ultimately want to empower people through the use of blockchain technology, cryptocurrency, and supportive communities. 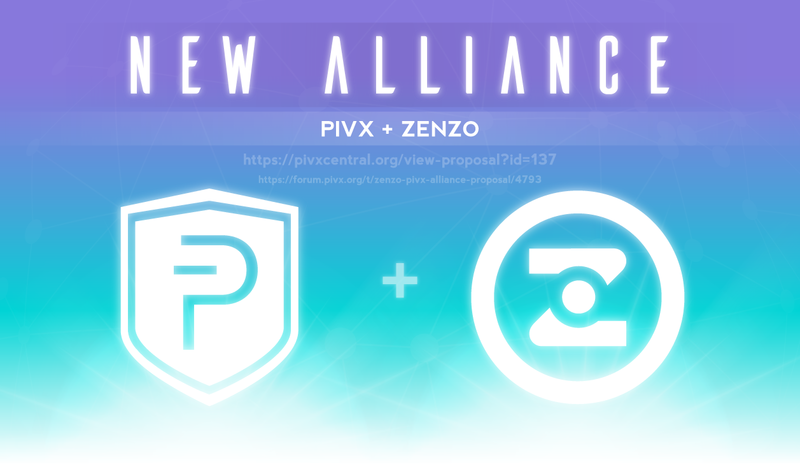 We have broken down the official ZENZO + PIVX Alliance into two types: Friendly Alliance & Strategic Alliance. The Friendly Alliances enables both allies to share, when relevant, in a positive light about the other project. This also includes support by sharing big updates, developments, etc. and includes sharing of resources (when applied). The Strategic Alliance includes Phases 1–6, which are mention on the PIVX Forums. 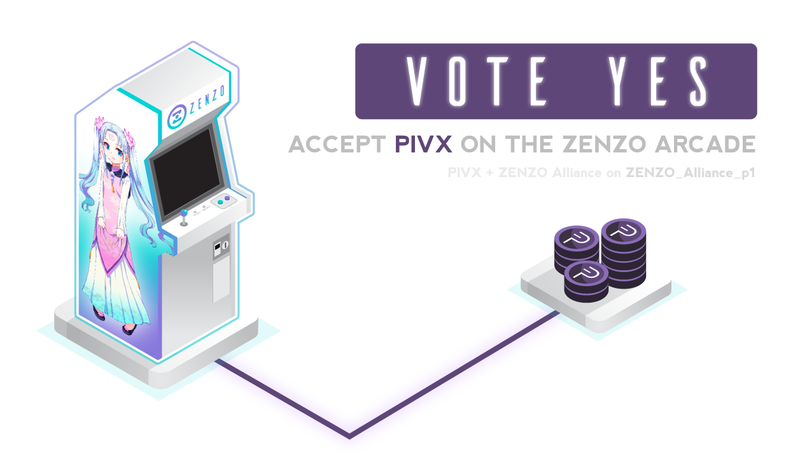 To celebrate our newly formed alliance, ZENZO & PIVX will be giving away ANY game on the ZENZO Arcade to one lucky winner. To enter this giveaway, all you need to do is read the rules in this tweet.